Ellerman House is situated just 10 minutes from the heart of Cape Town and the one-and-a-half-acre property, now privately owned, stands as an iconic showcase of South Africa’s finest hospitality, cuisine, art, wine and leisure. The boutique hotel has 11 rooms, 2 suites and 2 three-bedroom Villas. Attention to detail ensures no two rooms are alike and the property boasts two lounges, a library, a dining room, three dining terraces, a spa, a fitness center, pool, brandy lounge, Wine Gallery, Contemporary Art Gallery and Champagne Cellar. The property is not open to the public, offering a genuine level of privacy and exclusivity to guests. The first stop is Table Mountains Lower Cableway Station, for a 5-minute revolving cable car ride to the top. Explore the mountains summit and absorb the breathtaking views before descending. Return to the city via the old Cape Malay Quarter for a walk through the Company Gardens, a fresh produce garden for ships and locals from the mid-17th century, and now home to the South Africa Museum, Houses of Parliament, National Gallery and St. Georges Cathedral. Stroll through the city to Greenmarket Square, where you can browse the bustling market stalls for beautiful and unique African mementos. From there we drive to the Castle, South Africas oldest building, with its incredible collection of Old Cape paintings. Take in the nearby Grand Parade, where Nelson Mandela addressed the nation on his release in 1990, and then move on to the District Six Museum, which showcases the colourful life of this legendary area and the forced relocation of its residents during the Apartheid era. Round off our tour at one of the citys popular restaurants, before returning to your hotel. Entrance fees to Table Mountain, the South African Museum, the Castle of Good Hope and the District Six Museum are included. Make your way along the Atlantic seaboard passing Sea Point, Bantry Bay and Clifton. Bakoven and Llandudno, with their ghostly shipwrecks, are also fantastic sights on the way to the fishing village of Hout Bay, where we board a boat to view the Cape fur seal colony on Duiker Island (weather dependent). From here navigate the 114 curves of 600m high Chapmans Peak Drive. Enter the Cape of Good Hope section of the Table Mountain National Park with its unique Cape fynbos vegetation and home to birds like African black oystercatchers and Cape sugarbirds as well as to very special fauna including Cape mountain zebra, bontebok (both endemic) and the charismatic Cape baboon. Climb (or ride the worlds first environmentally friendly funicular) to the famous Cape Point Lighthouse to capture the magical vistas of False Bay. After lunch, visit Boulders Beach to see the penguins, and then head home through the naval village of Simonstown and over scenic Boyes Drive, taking in the views of the fishing harbour at Kalk Bay and the seaside havens of St. James and Muizenberg. To round off your day you can take a stroll through Kirstenbosch Botanical Gardens on the slopes of Table Mountain. Located on the V&A Waterfront sits the Zeitz Museum of Contemporary Art Africa (Zeitz MOCAA), a contemporary art museum and the largest museum of contemporary African art in the world. The museum opened on September 22, 2017 and collects, preserves, researches, and exhibits twenty-first century art from Africa. The museum building was constructed from the conversion of the 57m tall historic Grain Silo, originally built in 1921 and decommissioned in 2001.The architects, Heatherwick Studio, aimed to conserve and celebrate the original structure's industrial heritage, while simultaneously excavating large open spaces from the 42 densely-packed concrete cylinders from which it is was comprised. 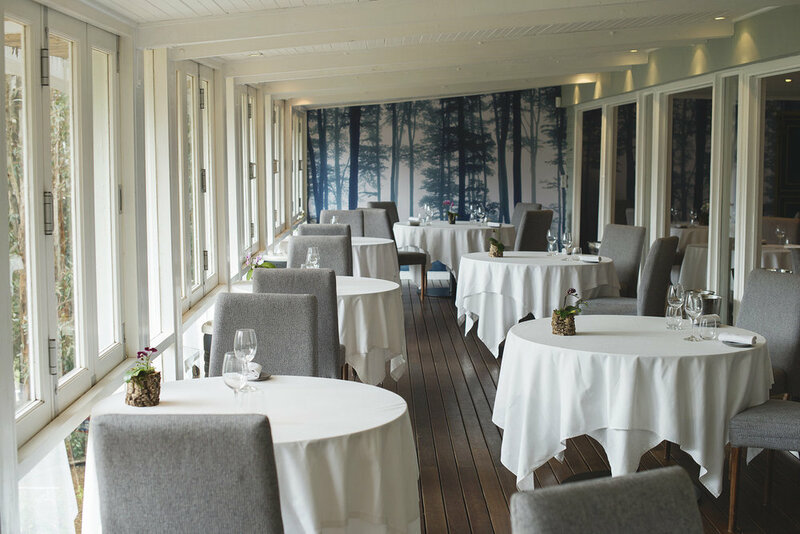 La Colombe is one of South Africa’s most iconic and internationally acclaimed fine dining establishments. Originally founded on the historic Constantia Uitsig wine estate, it relocated under new ownership to the picturesque Silvermist organic wine estate at the top of Constantia Nek, with breathtaking views overlooking the Constantia wine valley, False Bay and Hout Bay.